Many children in Union County, though they receive free or reduced meals at school, have little to eat on weekends. 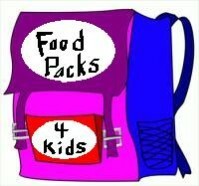 We have partnered with Rock Rest Elementary School to provide backpacks filled with nutritious, "child-friendly" foods. small cans of pork'n'beans, Beefaroni, spaghetti, beef stew, etc.